Muppets do seem carry with them an amount of integrity. 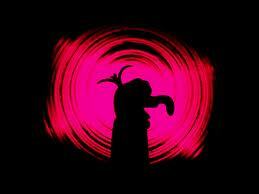 Well yes, you can always trust a MUPPET…but i wouldn’t trust BEIBER Any further than the length of my claw! Thanks for visiting my blog Mydaddysez and for the like. You have some funny stuff here. Thank you much, you can never go wrong with the Biebs. Bieber ate my lunch one day. It was humiliating. I could only stand there and watch as he slowly chewed on my BLT sandwich and stared into my eyes like Clint Eastwood in some spaghetti western. But, when I was a kid I went to see the muppets and Beaker ended up kicking me in the shin and calling me a little brat. He only said, “meep, meep.” But I knew what he meant. So, I’m kinda neutral on this one. I did hear, though, that Mike Tyson has a love for Van Gogh. Mike Tyson has love for Van Gogh but Evander Holyfield has empathy. I would rather hear Beaker sing over Bieber any day. “Perhaps we’ll never know the whole truth.”—But thank goodness for bloggers like you who try to get to it. Especially in matters of this much import. I, for one, am grateful. 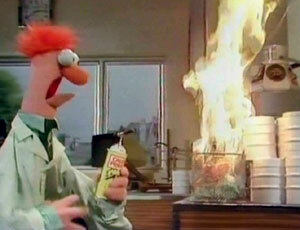 When I was a kid, Beaker was my favorite muppet, nothing ever went right for him. I also rooted for Wile E. Coyote. Yes, that Wile was a sad sack. This explains why Justin Bieber has been hanging out with Mike Tyson recently. I’d hate to see what Beaker looks like after Tyson is finished with him. I’m sure he’ll have a face tatoo.